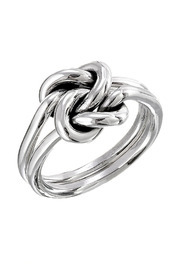 Simple and classic, this design features two separate rings connected by a knot. To see more from this collection, please click here. (#RMNOnline). RMNOnline Fashion Group.